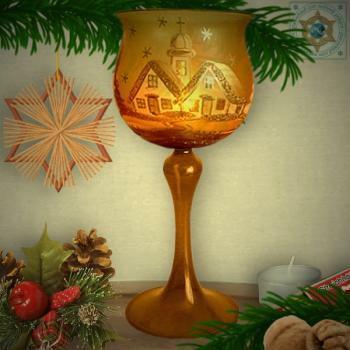 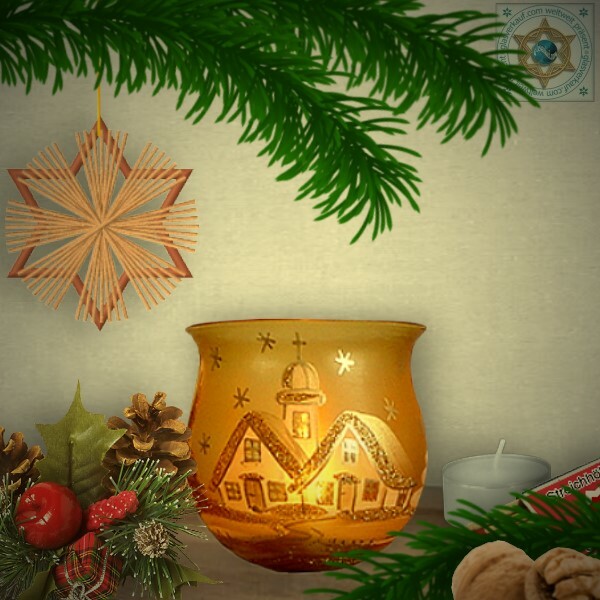 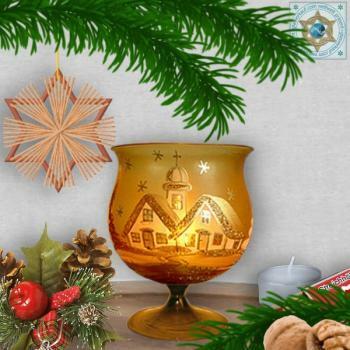 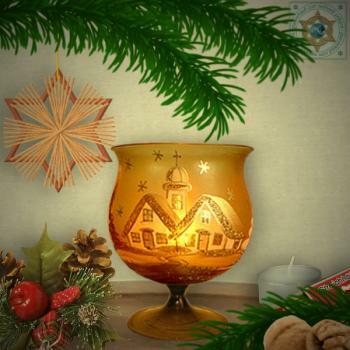 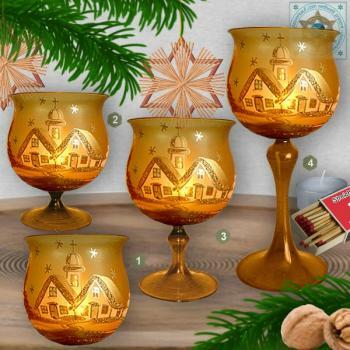 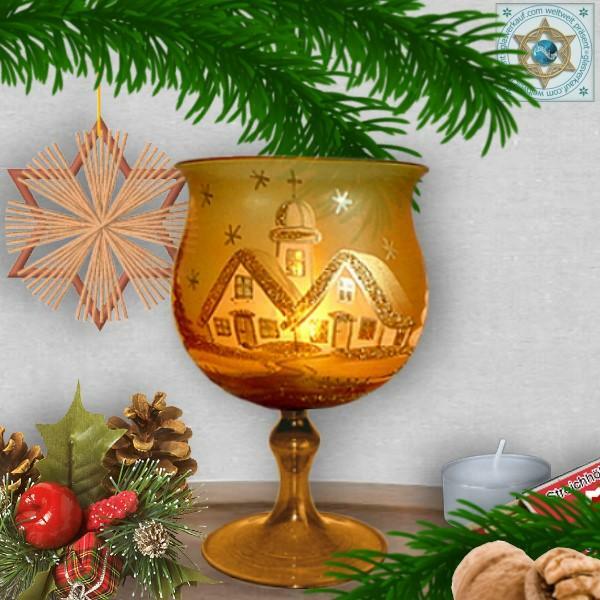 Our hand-made glass products Christmas decoration windlight for Christmas, motif winter village gold in 4 variants series gold magic made of Lauschaer glass, brings you the right Christmas spirit into your home. As illuminant is a tealight. Colors: windlight gold, handpainted with motif winter village gold.